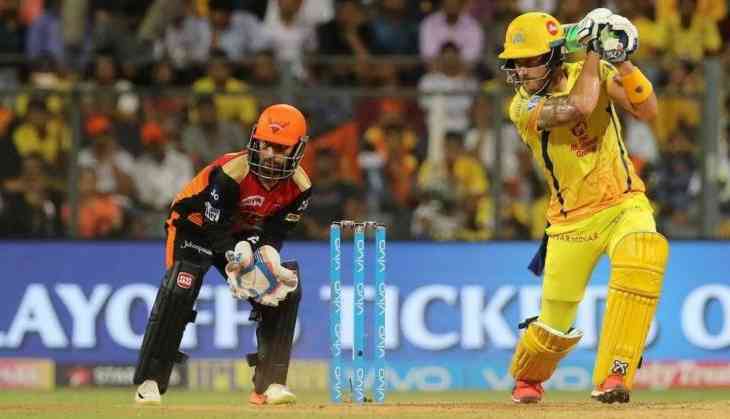 Home » cricket news » IPL 2019: Cricketers who can break the record of IPL's longest six not by Chris Gayle or Virat Kohli! Former South African cricketer Albie Morkel set a record of hitting the longest six in the IPL back in 2008. The record is still not broken by any batsman even after 11 years have passed since it was made, but its not unbreakable by any means. Albie smashed Pragyan Ojha for the longest six that travelled a mammoth 124 metres. Let’s have a look at 5 players who could smash a six longer than the former South African all-rounder. At number one its Colin Munro of New Zealand, an explosive opener with lot of muscle power. Munro has a strike rate of 162 in T20I’s and has 92 sixes to his credit from 52 innings. Munro is part of Delhi Capitals this season and can surely break the record. At number 2 its Andre Russell from West Indies the man who needs no introduction. Russell plays for Kolkata Knight Riders and is known for his big-hitting prowess. He is also a destructive pacer and an all-rounder who can hit those straight sixes. With an impressive strike rate of 141, the 30-year-old from Jamaica will back himself to shatter the 124m six record. At number 3 its Jamaican batsman Shimron Hetmyer who came into limelight after demolishing Indian bowlers on Indian soil last year. Shimron will play his debut season this year and it will be for Royal Challengers Bangalore. With his power and style of play one can expect him to break the record. READ NEXT >> Vicky Kaushal wants to set his own example and here's what he does!